The PMD661MKII offers a refined professional broadcast feature set, maintaining the improved top facia layout with fewer buttons and more highly developed use of multi-functional operation previously seen in the original PMD661. Measuring just 165 x 93 x 36 mm (6.5" x 3.7" x 1.4"), and combined with the improved control layout it ensures comprehensive single handed operation. The feature set includes an integrated high quality stereo condenser microphone array for ‘point and shoot’ operation, and a highly visible 128 x 64 dots matrix OLED (organic LED) display. The new ‘Retake’ feature allows a simple button press to take you back through the previously recorded audio to edit the record start point. 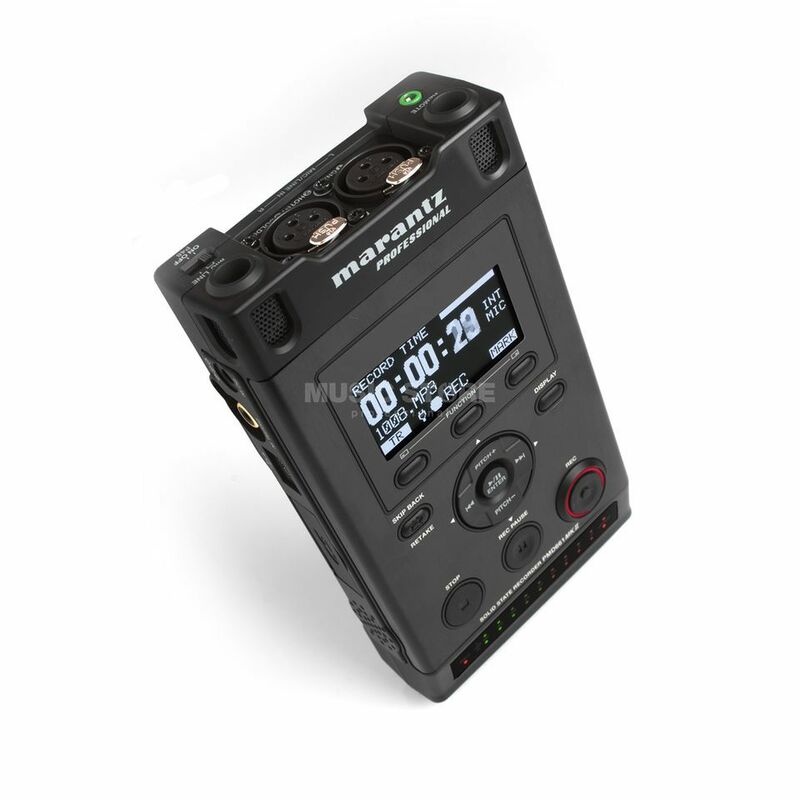 This enables easy re-recording over unwanted takes and offers a solution for quick editing on the move without the need to edit on a computer. Furthermore, the recorder now features a way to password protect and encrypt the files themselves allowing for secured transfer of sensitive recordings from party to party.